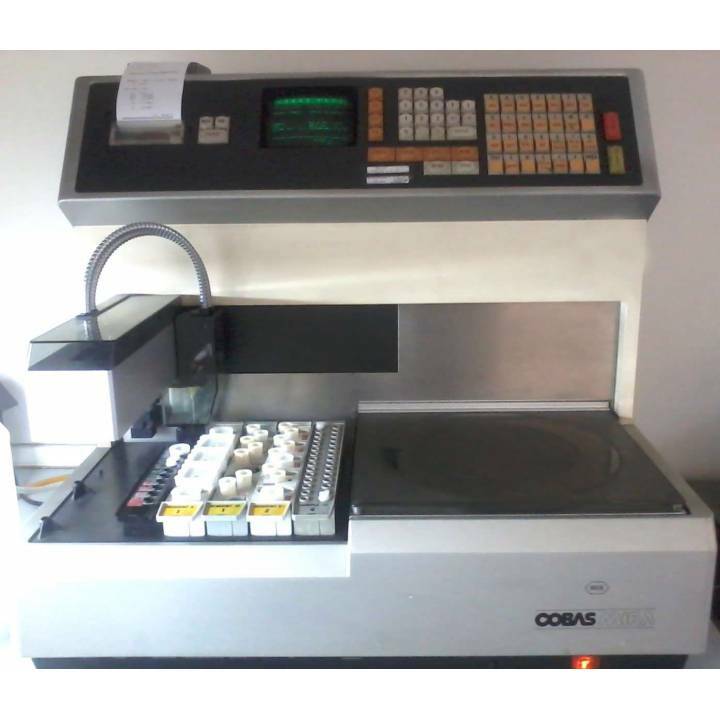 Biochemical analyzer Roche Cobas Mira. 140 test/h. Optical system photometric. Capacity for 72 cuvettes. Sample volume of 150-600 ál. Memory for results of 2100 patients. Microprocessor. Built-in Software.